Responsive Design – Everything that you create with the OptimizePress 2.0 Theme will automatically re-size and arrange itself to fit any Desktop, Laptop, Tablet or Mobile Device. Live Editor – Never worry about knowing code again! Point and Click, Drag and Drop to create custom web pages in minutes, that used to take hours. 50 Templates – Professional looking awesome templates for for every kind of page. All of the hard work is done! Just edit them for your particular products or offer and away you go. Elements Library – A huge collection of all new pre-built elements for your pages, including Opt-in boxes, Headline styles, Bullet Lists, Feature Blocks, Feature Boxes, Guarantee graphics, Pricing Tables and much much more. Stay tuned for more news, I hope you enjoyed the OptimizePress 2.0 Theme Review Preview – First Look Video. 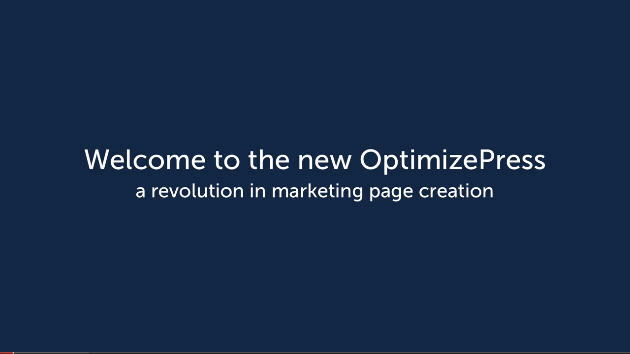 Please share this with anyone who might like the OptimizePress 2.0 Theme – and who wouldn’t? Just stumbled across your site while looking through some of the other Partner To Success blogs. Are you still enjoying it? I notice you haven’t posted for a while. Just thought I’d drop by and say hello. Thanks for dropping by! Actually I’m not a Partnership To Success member, but I did use the Flexibility 3 Theme to build this site which they use too. Yes, been lagging in my posts. I’ve been busy building sites for people, can’t complain!